Democrats: Beware Marine Le Pen! Henry Samuel has the details of Marine Le Pen’s visit to the United States. Ron Paul got some unwanted bad publicity when it became known that he’d kibbitz with the leader of France’s nationalist, right-wing party. That meeting, says Samuel, has been scrapped. Instead, Le Pen will court the left. The FN insists Miss Le Pen will meet a Democrat “who doesn’t correspond to majority thinking” of his camp, but that his name would only be revealed on the day to avoid “pressure” … she will also make a stop at Zuccotti Square in Manhattan, base of the “Occupy Wall Street” movement. I’ve asked a couple of prominent Occupiers, who have had to punch back on claims of “anti-semitic ties” (basically, some jerks showing up and pronouncing themselves part of the movement) to pre-rebut Le Pen. In the meantime: Who is this Democrat? 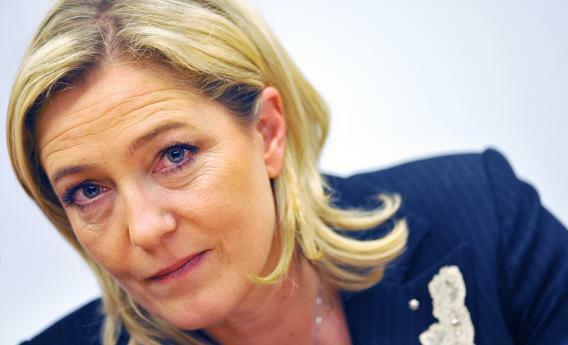 Le Pen is moderating the Front National, sure, or at least she claims to be doing it. But the political upside to appearing with a party founded by a noted Holocaust denier? Not quite sure what that would be. The United States has proven pretty well resistant to the European virus of xenophobia as a reaction to economic angst. Why import it? UPDATE: Jesse La Greca, a Zucotti Park Occupier who became well-known for outmatching Fox News’s Griff Jenkins in an interview, e-mailed to let me know what OWS thinks.